Clean Air Solutions provides indoor air quality testing services for Hamilton and the surrounding areas. Most Canadians spend about 90% of their time indoors. Indoor air quality may be two to five times more polluted than outdoors. 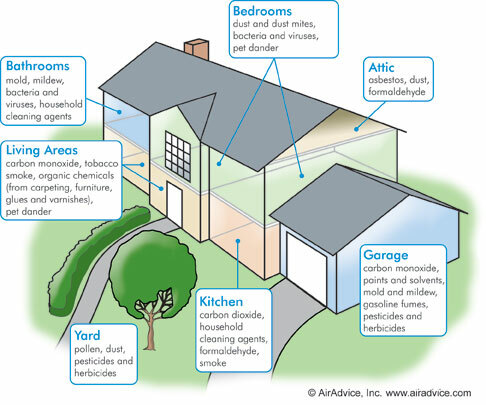 Indoor air pollution can trigger allergic reactions, asthma attacks, and respiratory symptoms. Children, the elderly, and even healthy adults can experience fatigue, nausea, headaches, scratchy throats, and nasal congestion. New homes are constructed with tighter windows and doors to save energy, but they also keep fresh air out. Without adequate indoor air circulation, pollutants can build up over time, leading to poor indoor air quality. Most homes may not be properly equipped to filter and purify indoor air. So what is the air quality in your home? Now you can find out! The Air Advice Indoor Air Analysis pinpoints key indoor air quality (IAQ) problems that can affect you and your family's health, as well as their comfort and safety. To perform the Indoor Air Analysis, a Clean Air Solutions' Indoor Air Advisor will place the monitor in your home or office for the three days to measure the air you're breathing under real living conditions. Get The Test. Know The Facts. AirAdvice's unique technology analyzes the air 24 hours a day, recording a sample every minute. The monitor is virtually silent. You'll receive a full-colour Air Advice I.A.Q. report that enables you to "see” your home's daily air quality. Your Clean Air Solution's Indoor Air Advisor can determine what may be affecting your homes indoor air and when those changes occur. The report also suggests ways to solve your air quality problems. Using the report, you and your Clean Air Solutions' Indoor Air Advisor can work together to select the right solution. You probably have questions, and we're happy to answer them for you. 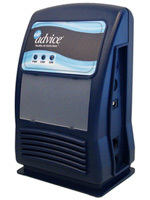 Contact us today for a free, no-obligation quote for air quality testing and monitoring.